↑ Pylee, M.V. (1997). 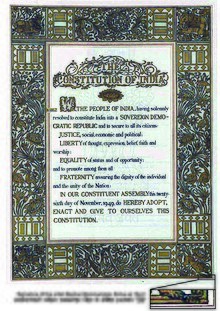 India's Constitution. S. Chand & Co.. प॰ 3. आइएसबिएन 81-219-0403-X.